Art masterpieces should be protected from microbial damages by applying preventive action. Although human occupancy is known as the main source of airborne bacteria and molds in closed environments like hospitals and schools, art masterpieces in museums are often not considered in this respect. The Sistine Chapel within the Apostolic Palace in Vatican City. Many fungi and bacteria are capable of producing serious damage in historic materials, decomposing them from the impact of specific enzymes, cellulases, proteases, ligninases, and organic acids. Pigmentation and physical damages in materials are other deleterious effects in addition to bio deterioration. Fungi are particularly dangerous because they show a substantial tolerance to environmental conditions. In addition, they can withstand lower relative humidity (RH) than bacteria for their development and produce spores that are that are easily dispersed by moving air. The closed space of a museum or art gallery should be regularly monitored and evaluated to mitigate air contamination that is affected by the number of visitors, residents, tourists, air conditioning, hygienic conditions and cleaning activities. Oil paintings and other art masterpieces can be damaged by bacteria and fungi brought in by humans or contaminated heating, ventilation, or air conditioning (HVAC systems). High microbial contamination can also be caused by of excessive air humidity conditions. 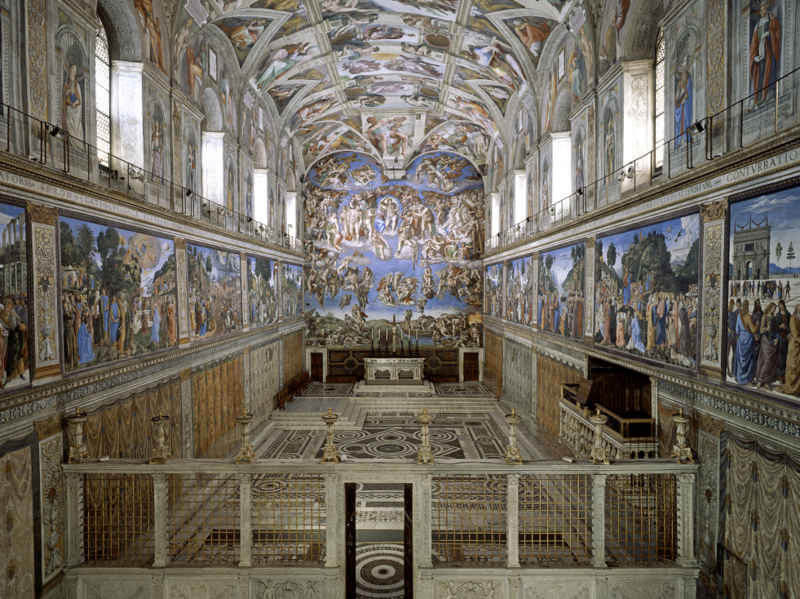 An example of a preventive action is the monitoring of the Sistine Chapel in the Vatican, housed in a heavily occupied environment (e.g. up to 700 visitors at the same time). The microbial content of air should be controlled at regular intervals to recognize changes in the environment when they happen. A viable impact air sampling instrument (such as the TRIO.BAS microbial air sampler) may be used to evaluate the risk assessment and to implement a protocol for the specific closed environment, thus alleviating the threat of damage to irreplaceable works of art, in order to preserve them for many future generations to enjoy.